The world from the air is a beautiful place. Patterns emerge in the landscape threaded by waterways, rivers, and highways. These patterns are often an inspiration for my work as an artist. For the past thirty years I have painted with water-based pigments, on handmade papers and canvas. 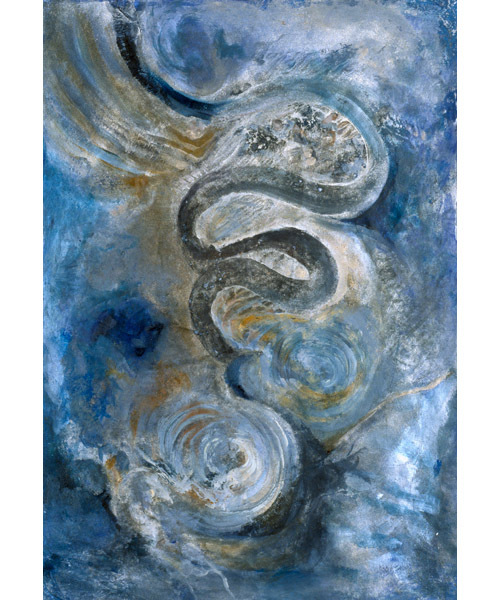 Through my art I seek connection with geologic and geographic processes — the soil from which we are shaped.